As more and more American communities grapple with opioid addiction, the human toll of the epidemic has grown in both scope and severity. And now, scientists at the Washington Department of Fish and Wildlife have found evidence that drug's impact has literally flowed downstream to affect marine life, as well. Specifically, they used mussels as a barometer of pollution in the waters off Seattle, and discovered that oxycodone is now present enough in the marine environment there for shellfish to test positive. 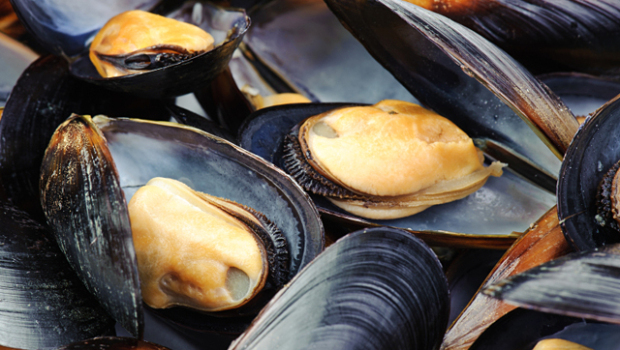 Since mussels are "filter feeders," they absorb contaminants from their environment into their tissues in a concentrated way. Scientists used cages to transplant clean mussels from an aquaculture source on Whidbey Island to 18 urbanized locations around Puget Sound. Several months later, they pulled those previously uncontaminated mussels back out of the urban waters and, together with the Puget Sound Institute, tested them again. In three of the 18 locations, the mussels then tested positive for trace amounts of oxycodone. How, you ask? When humans ingest opioids like oxycodone, they ultimately end up excreting traces of the drugs into the toilet. Those chemicals then end up in wastewater. And while many contaminants are filtered out of wastewater before it's released into the oceans, wastewater management systems can't entirely filter out drugs. Thus, opioids, antidepressants, the common chemotherapy drug Melphalan -- the mussels tested positive for all of them. "What we eat and what we excrete goes into the Puget Sound," Jennifer Lanksbury, a biologist at the Washington Department of Fish and Wildlife, told CBS Seattle affiliate KIRO. "It's telling me there's a lot of people taking oxycodone in the Puget Sound area." While mussels likely don't metabolize drugs like oxycodone, and thus wouldn't necessarily be physically harmed by the presence of it in their tissues, studies show that fish are not so lucky. In fact, scientists at the University of Utah recently discovered that, if given the opportunity, zebrafish will willingly dose themselves with opioids. Scientists say salmon and other fish might have a similar response. The Puget Sound Institute notes that the amounts of opioids detected were thousands of times smaller than a typical human dose. And none of the mussels tested are near any commercial shellfish beds. Still, the discovery of opioid-positive shellfish in Puget Sound is a stark new milestone in the epidemic, showing that enough humans are hooked on these life-altering drugs for the trace chemicals they excrete to register in other species in our coastal waters.